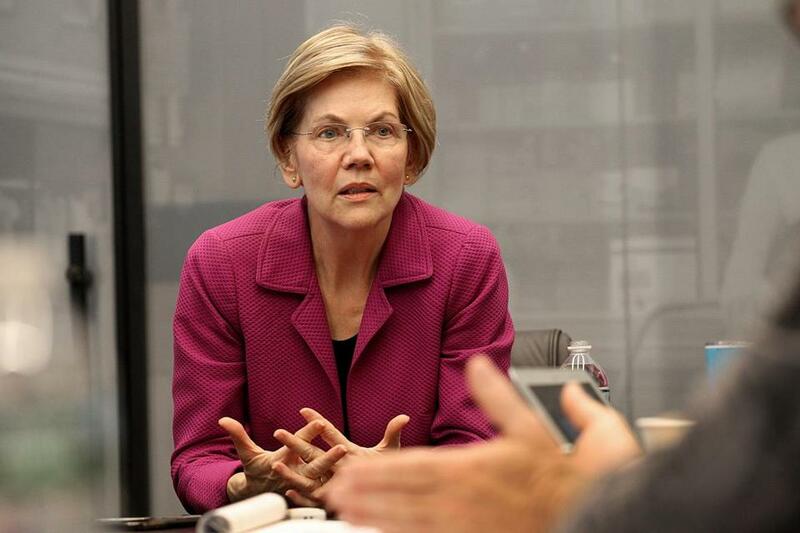 Senator Elizabeth Warren spoke to the Globe&apos;s editorial board Tuesday. The six-page genetic data report, which was released on Sunday, is dated Oct. 10. The analysis showed “strong evidence” Warren had a Native American ancestor dating back six to 10 generations. That generational range suggests Warren is between 1/64th and 1/1,024th Native American. Those results fit with an 1894 document uncovered by the New England Genealogical Society that suggested her great-great-great-grandmother, O.C. Sarah Smith, was at least partially Native American. The results, perhaps predictably, only triggered further attacks from Trump and other Republican critics, who quickly seized on the low end of the results as ammunition for further mockery. “Now that her claims of being of Indian heritage have turned out to be a scam and a lie, Elizabeth Warren should apologize for perpetrating this fraud against the American Public,” Trump wrote Tuesday morning as part of a Twitter tirade against the Cambridge Democrat. President Trump is criticizing the senator over test results analyzed by a Stanford expert on DNA analysis that showed “strong evidence’’ she had a Native American in her family tree. 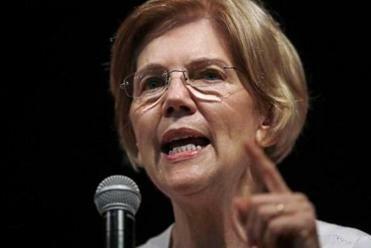 When asked whether, based on the results, she made a mistake identifying herself as Native American as a law professor, Warren expressed regret but stopped short of admitting error. Pressed again on whether she made a mistake decades ago in listing herself in directories of minorities in academia, Warren emphasized she was thinking about her Native American ancestry, not any sort of claims to tribal citizenship, when she made those decisions. Warren’s Republican challenger on Nov. 6, Geoff Diehl, has largely avoided mentioning the controversy surrounding Warren’s claims of Native American ancestry, though he has referenced it in some recent TV interviews, including during a Tuesday appearance on Fox News. “She’s been consistently misleading the people of Massachusetts and the American people in saying that she had this claim. Now we know there’s no real conclusive proof that she has Native American identity,” Diehl said. He also attacked Warren by saying she benefited professionally from identifying as Native American. An extensive Globe investigation found clear evidence, in documents and interviews, that her claim to Native American ancestry did not help her remarkable rise through the legal teaching ranks. Warren’s decision to share the DNA results is an unprecedented move by an American politician, and sets her apart from both Hillary Clinton — who resisted releasing personal information — and Trump, who continues to refuse to release his tax returns. In the interview, the Cambridge Democrat, who has said she will “take a hard look” at running for president after Nov. 6, placed the DNA results within the context of other recent moves she’s made to open her background to outside scrutiny. An in-depth Globe review of Warren’s professional history, including interviews with 31 professors on the Harvard Law hiring committee who offered her a job in 1993, found that Warren was viewed as a white woman by the hiring committees at every institution that employed her.